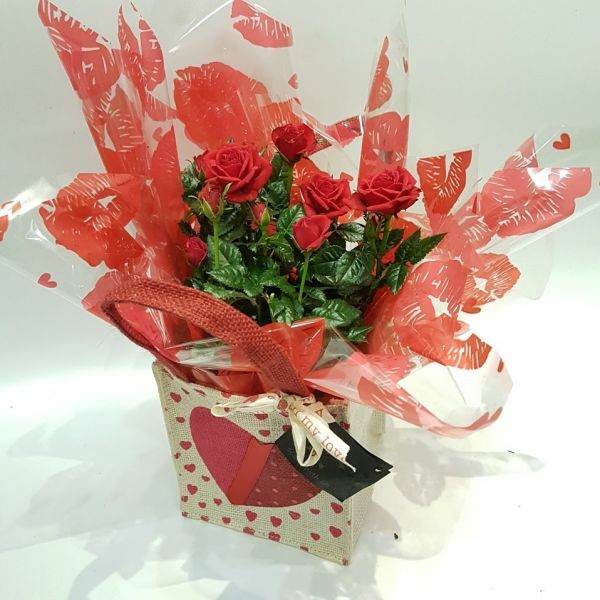 A cutesy red rose plant nestled in a pretty Valentine's themed hessian giftbag. A lasting gift that can be planted outside or continue as an indoor plant. A wonderful, lasting token gift. Pot size approx 12cm. Please note sundries may vary to that shown.